As more cities around the globe adopt environment-friendly policies that lean toward a more sustainable world, many people are rediscovering the benefits of cycling. To the delight of cycling enthusiasts, some cities have established policies that transformed their post-industrial cities into world-renowned cycling havens. During the Industrial Revolution, as manufacturing launched rural societies into a new age of urbanization, the central question revolved around how to get more trucks on the street, hasten the production line, and produce as much as possible. Today, technology drives most of production, and with the development of artificial intelligence, humanity is at the edge of the fourth age. Now, the conversation has shifted to how to send people down the street more efficiently, make cities more efficient, and raise the quality of life. It’s a conversation that also takes into consideration how much people are willing to compromise—a paradigm shift that points to ways of life that benefit not only the individual but the planet as a whole. Along with this, tech companies are also aligning their efforts to the cause, resulting in modern personal devices like the Segway, electric scooters, and electric cars. Still, these are no replacements for the convenience and physical benefits afforded by bicycles. And in these cities, their foreseeable future is looking positive. Denmark’s 12,000 kilometers of the “signposted cycle routes are the arteries that flow directly to the heart of Danish living,” per the VisitDenmark site. 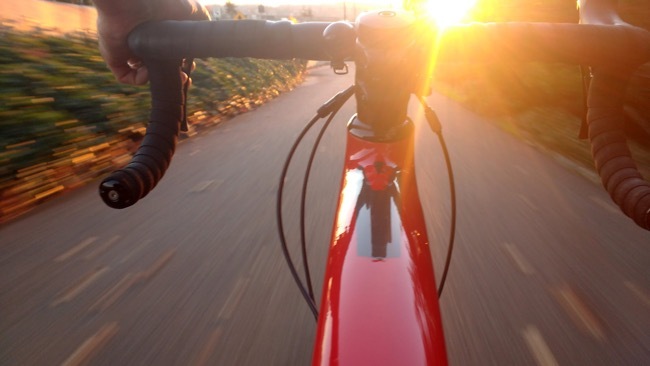 Cycling in this country is as natural as breathing, making it one of, if not the most, common and popular recreational activities sought after by tourists and preferred by locals. The country’s bicycling infrastructure dominates its cities and countryside, with dedicated bicycle paths and lanes and a network of 11 Danish National Cycle Routes. On average, Danes cycle 1.6 kilometers a day. In large cities like in Copenhagen, the numbers are higher with people cycling at an average of 3 kilometers per day. It’s the perfect place to go cycling for fun or for the challenge. So get your power meter running, prep your gear, and savor the ride. A city with a long tradition for cycling, Utretcht often competes with Danish cities for the most bikeable cities on the planet. The whole country is a popular cycling destination, but the city of Utretcht itself contains the longest bike street at almost 6 kilometers. Cycling is a fun and relaxed way to get to know the rich history of the city. Bike through visually stunning canals and parks, along rivers and historical districts, and among the peace and quiet of the woods outside the city. Dutch politicians have been very vocal about their stance toward healthy urbanism with environmental champions from the country’s labor party, proposing a legislation in 2016 to ban automobiles powered by gas or diesel by 2025. It’s a powerful move that urges other nations to follow if the planet is to adopt a healthier step toward a more sustainable future. If you love cycling, the Netherlands is obviously the place to be, proven by having another Dutch city on this top list. Cycling is an essential part of Dutch living, and when you’re in Amsterdam, it becomes an essential Dutch experience. Whether you prefer to bike at your own pace, discovering Amsterdam from an urban cycler’s perspective, or get serious by traversing through the entire city in two wheels, the fun is all yours. The city has specially created bike routes that will each take you off the beaten track to find old and new architecture, urban jungles, beaches, polders, as well as parks and waterways. All 22 to 30 kilometers of Dutch adventure that will surely be one for the books. Bicycle urbanism in France is picking up pace, led by this extraordinary bicycle haven, which started planning its bicycle infrastructure in 1978. The city has the biggest cycle trail network in all the country at 560 kilometers, where cyclists can discover the beautiful town and the surrounding areas, traveling along canals, through parks and gardens, and its historic, pedestrianized center. Nineteen thousand bike racks offer parking space for 38,000 bikes along public thoroughfares, while there are around 310,000 private bikes within the city itself. Since Malmö’s “No ridiculous car journeys” campaign back in 2006, the city’s residents were successfully persuaded to change their ways, paving a new age of environmentally conscious citizens, who now make 100,000 cycle trips per day on over 500 kilometers of cycleway. Cycling in Malmö is a leisure, with bike paths separate from motor vehicle roads. There are no on-street cycle lanes in the city. Today, the city is looking into upgrading its bike-sharing services and infrastructure and get more people on their own two wheels. There’s an ongoing revolution toward green solutions. Huge nonprofit leaders like the World Economic Forum, for example, just recently laid out its organizational goals for Globalization 4.0, one that hugely centers on the need to create a new paradigm of cultural and technological design so humans can continually prosper despite the current threats of climate change. Cycling as a way of life is an outstanding insignia for this modern, planet-conscious revolution, and these cities are leading the way.